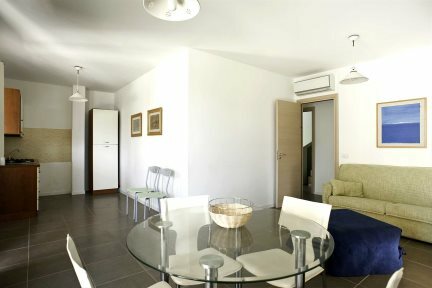 Set in a little block of just seven apartments right next to the sea shore, our two apartments (one on the lower floor and one on the upper floor) both enjoy views of the sea from their private terraces. 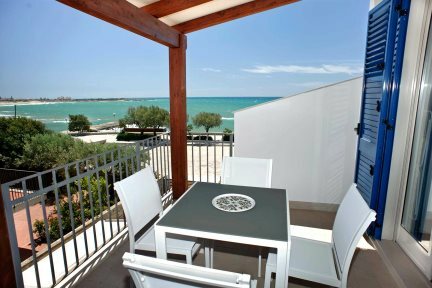 Perfectly positioned, the sandy beach of Marina di Modica is just 100m away. 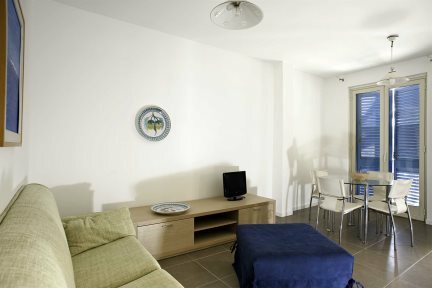 These simply furnished seaside apartments are decorated in a modern minimalistic style, creating a bright and airy feel. The table and chairs on the terrace provide an al fresco dining area with a view and the sea breeze to keep you cool. 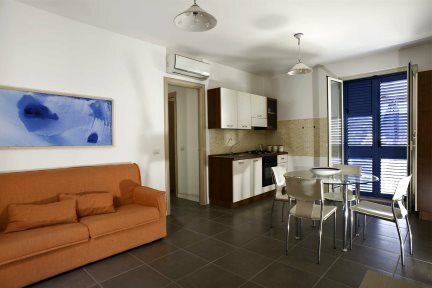 Out and about, aside from being steps from the beach, the apartments are only a 200m stroll away from the piazza where you will find a delicatessen and a handful of restaurants. Further afield, you can head up to beautiful Modica, known for its chocolate shops and pretty rooftops, or the baroque towns of Ragusa and Scicli for some architectural sightseeing. And, with the historic buildings and churches of Noto and Syracuse also nearby, Apartments Macchia Mare make for an ideal base for exploring this excellent and interesting region of Sicily. 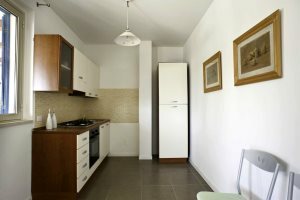 Washing machine, fridge, freezer, gas stove, oven (electric), LCD television, satellite receiver, Wi-Fi, parking. Electricity included. Air-conditioning/heating €70 per week payable locally. 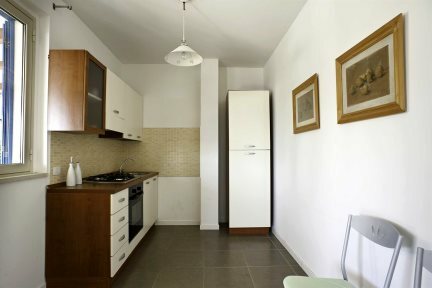 This lower floor apartment enjoys a 50m2 sea view terrace and a shower room. 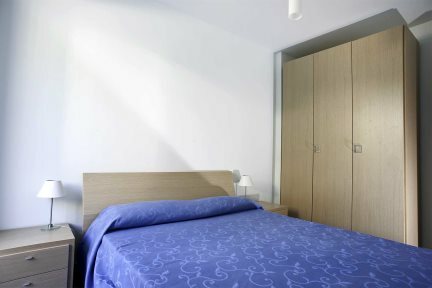 There is a double bedroom, and twin beds in the second bedroom. 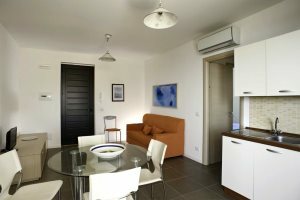 This second floor apartment enjoys a 30m2 sea view terrace and a shower room. There is a double bedroom and 2 single bunk beds in the second bedroom. In Modica there are two churches (Chiesa’s) which are definitely worth a visit: San Pietro, in the centre of Modica along the main street; and San Giorgio, in Modica Alta. The latter is a decent walk out of the town centre, however you are rewarded with beautiful views if you can make it up 'the grand staircase'. Modica is known for its Cioccolato al peperoncino (chilli chocolate) and there are several chocolate shops, museums and factories. Here you will find a beautiful sandy beach which is great for swimming, and many sand dunes. In the high season there are many activities restaurants, cafes, shops and ice-cream parlours. In the heart of Vendicari Nature Reserve lies an 8km stretch of golden sand dunes, lagoons, cliffs and hidden bays. There are no sun loungers, bars or water sports and no crowds. A truly wonderful place to swim and well-suited to families but be sure to take anything you might need including water with you. 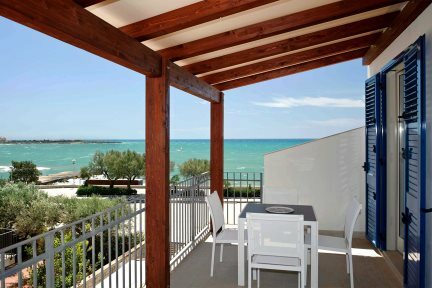 Pozzallo is a pleasant seaside town with bars and restaurants along its seafront. Also just out of the town along the coastal road towards Noto there are secluded, unspoilt beaches and coves that will be less crowded than in town. A celebration of the liberation of Sicily in 1091, following the Norman victory over the Arabs, with the town’s traditional cake, known as Turks’ Head, and a glass or two of local wine. A beautiful original watermill exhibit from the early 18th century - open every day and night visits are also available to pre-book. The best way to see Modica is to cycle around town. You can rent an electric bicycle and tour around the city with no parking space worries. There are group tours and touring routes to follow or you can just follow your nose..!